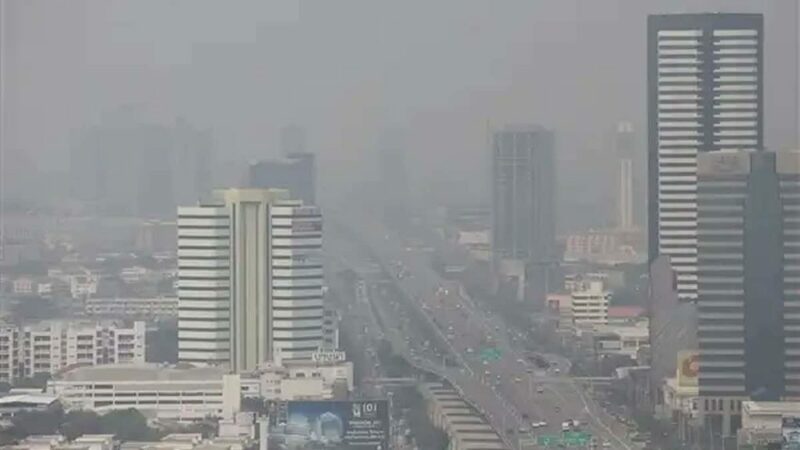 Bangkok issues air pollution warning! This week high pollution activity has been registered in the Bangkok area. According to the Pollution Control Department the level of this particular matter in the city has been raised up from 41 to 76 mcg in 24 hours, where 50 mcg is the maximum safe valid level. Environmental activists claimed that the officials delayed the problem until it came out of the normal levels. They organized a petition on Thursday against inability of the government in stopping the pollution. As power is granted too them, they should protect the health of people living in and around the Bangkok metropolitan area. “If nothing is done to tackle this problem, people’s lives, their health and even their assets are at risk. Hence, the premier should order relevant state agencies to take immediate action to solve the problem”, the president of the Stop Global Warming Association said. One of the tools it to correct the current regulation and react immediately. The Department of Pollution Control has issued a warning for people to wear face masks or simply “go to the doctor” if they experience abnormalities with their breathing or respiratory system. The department reported PM2.5 dust in Bangkok at 8am. It was measured at 47-70 micrograms per m3, higher than the level considered safe for Thailand, which is set at 50 micrograms per m3. Meanwhile, the World Health Organization suggested that the level of PM2.5 dust should be under 25 micrograms per m3.